Zhelle.Dk: WIP Wednesday - and HAPPY NEW YEAR! WIP Wednesday - and HAPPY NEW YEAR! Let me start by wishing you a HAPPY NEW YEAR! I hope you will be getting safe into the new year! I promised to explain why I have closed my Etsy store. I sold PDF patterns and from January 1st there are new VAT rules regarding sales of digital items. If a seller sells patterns to someone from an EU country, the seller will have to either A Register and pay VAT in that country or B Sign up for a fee to sell to the countries (as far as I have understood). This comply to ALL sellers of digital items, not just us living in an EU country. As a small business owner, this is just not possible for me to register at the moment. So for now I have closed my business. If you want to read up on the rules, you can google VAT MOSS. I am today starting WIP Wednesday on my blog. Every week I will show you a crocheted, knitted and cross stitched piece that I am working on at the moment. Look! It is a blanket! It hasn't been crocheted yet, but it will be! Right now it is 34 balls of yarn. They are so PRETTY! And SOFT! I absolutely love them! 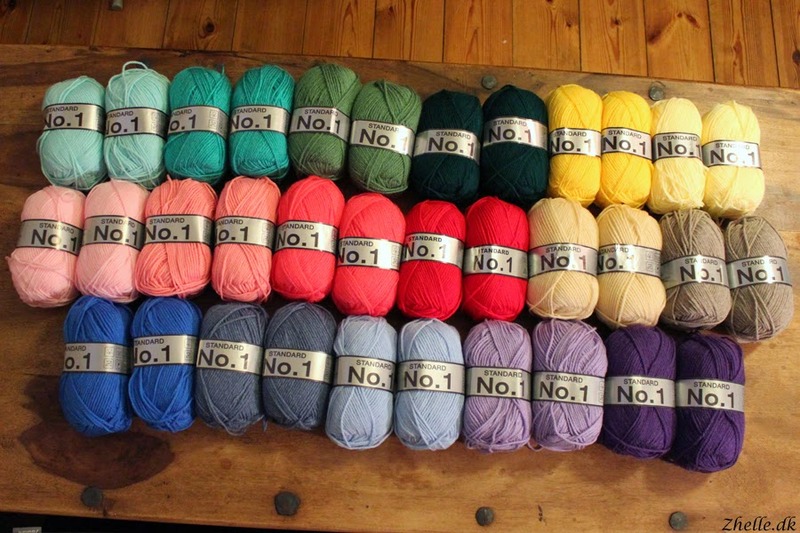 I just bought them yesterday, and I am going to turn them into a granny stripe blanket. I am going for the instructions over at Attic24, and I hope that mine will be just nearly as pretty as Lucy's! The plan is to crochet a lot on it this winter, including the 12 hour car rides to and from Austria. I am looking so much forward to starting it, and I think I have the colour way figured out, but I am not completely sure yet. Hopefully I can show you more soon! 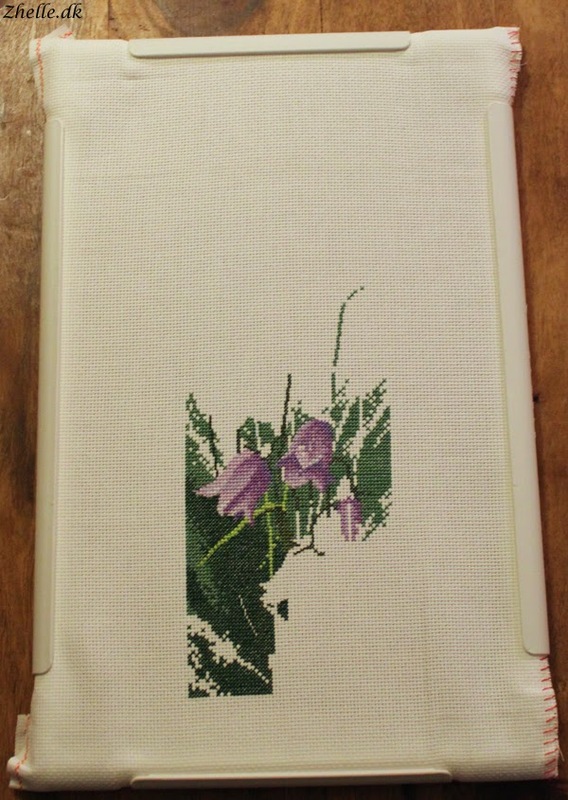 This is my progress on the harebell panel. There isn't too much going on there, but you can see where one of the corners and three of the sides are located. The length is about three times the size of the width, so that gives you an approximation of how much I still need to complete. It does have beginner issues and mistakes, and had it been completely outstretched you would have been able to see that my knitting has become tighter as I have knitted along. I do like it though. I am quite proud of it being my first project! 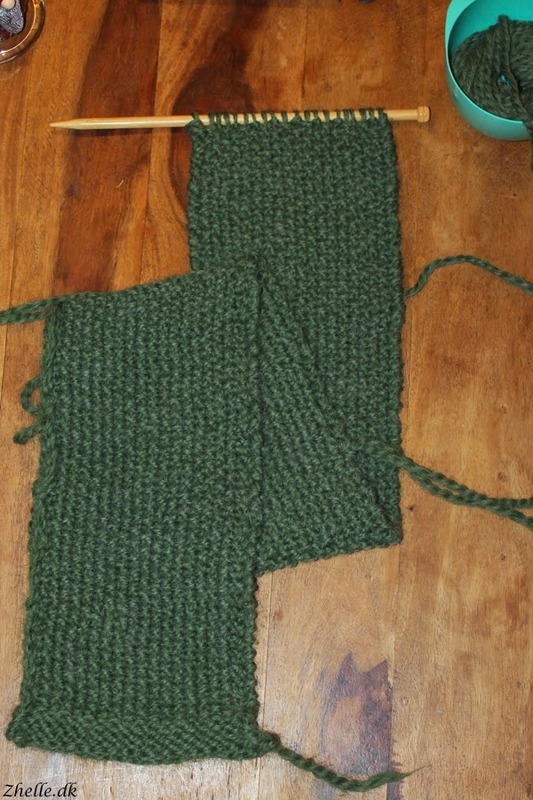 So far it is 113 centimetres (I measured it to be sure of the length ;) ) and there are still a ball and a half of yarn left for the actual scarf. I do have an extra ball of yarn, but I am planning on crocheting an edge around the whole thing to give it a nice finish. I will need to figure out a new knitting project soon! I hope you have a great New Years Eve and I hope you get safely into 2015.